This set of activities were designed to demonstrate how the micro:bit can be used to bring programming to the science classroom. There are three activities, two of which are adapted from tasks originally developed by the STEM centre. In this activity students will program the micro:bit to measure acceleration, this will help them to develop an understanding of the difference between acceleration and velocity. 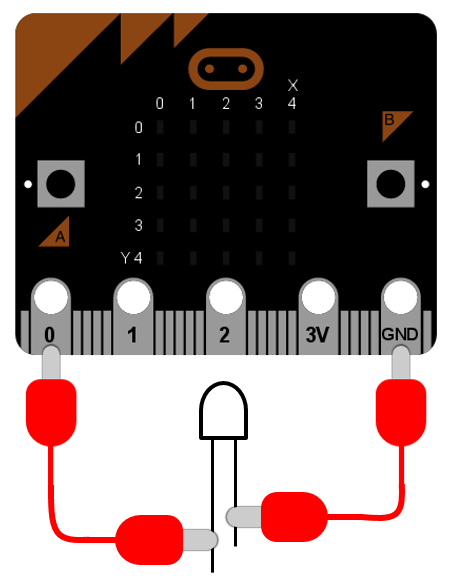 In this activity students will program the micro:bit to turn on an LED when the light level falls below a set level. In this activity students will program the micro:bit to measure the moisture level of soil.